On Saturday, groups of Rainbows from across the county spent the day at Hoo Farm, in Telford. 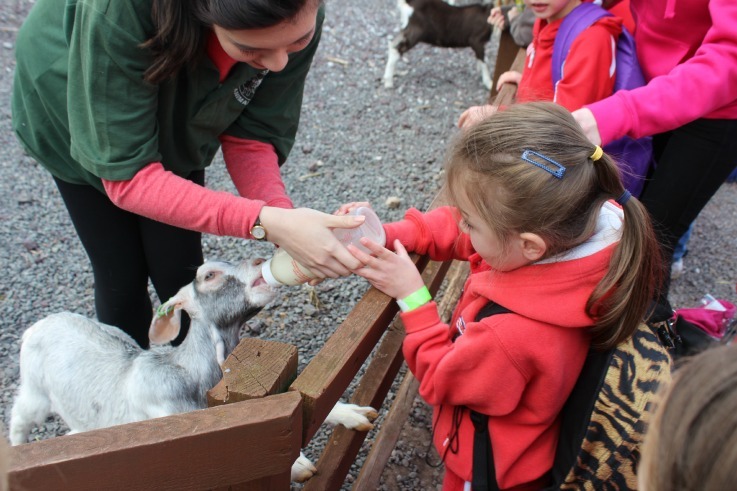 Approximately 120 rainbows spent the day at the farm and were able to take part in lots of activities including meeting the reptiles feeding lambs, deer and goats, collecting eggs and were able to explore Wallaby Wood. The girls also watched the sheep racing and were able to take pony rides and have a go on the zip wire in the adventure playground as well as getting crafty by making some animal-themed keyrings and pocket mirrors. Another Fun on the Farm day will be held further south in the county later in the year – keep an eye on the website events page for details.